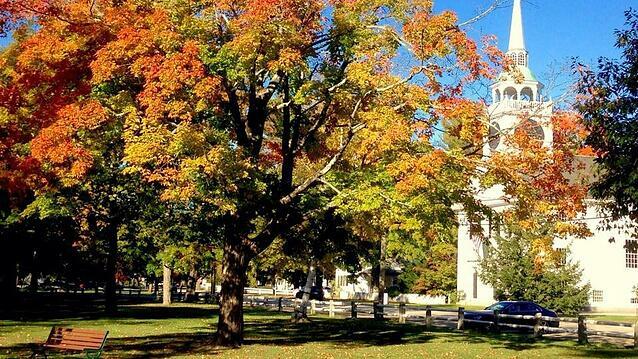 Amherst, New Hampshire is located in Hillsborough County in southern NH. It covers nearly 35 square miles, and is located along the Souhegan River. Its neighbors include New Boston, Mount Vernon, Bedford, Merrimack, Hollis, and Milford. The town is located halfway between two of the biggest cities in NH: Manchester and Nashua. It is convenient to Rte. 3 and I-93, for easy travel throughout the state and into Massachusetts. Residents can also easily access the Manchester-Boston Regional Airport. Baboosic Lake is a historic destination in the town, attracting visitors from across the region. Today, residents still enjoy the fishing, ice fishing, snowmobiling, and ice skating. The lake also hosts a summer camp for children. The population of the town is approximately 12,000. While mostly a suburban-rural town, Amherst also has a thriving business district and industrial lands. Many towns in New Hampshire were founded as land grants, including Amherst. In 1728, the land was granted to soldiers, and was known as Narragansett Number 3. Settlement began in earnest in 1741, and the town was chartered in 1760. Amherst’s convenient location in Southern NH allowed the town to flourish from its very beginning. In the 1800s neighboring town, Milford developed a strong milling community providing employment for many citizens of Amherst. Following World War II, the population began to surge, rising to the level it is at today. There are many historic buildings throughout the town, bringing history alive for the local residents. In the town green, the community comes together several times a year for events including the 4th of July, the Christmas tree lighting, and summer concerts. Walking through the village of Amherst is like walking through history. Many historic and restored structures are available, some of which conduct tours for those wishing to explore the rich history of the town. Located near the town green, you can see the historic whipping post and a variety of monuments to historical figures and groups. In the Old Burying Ground, you can see gravestones dating all the way back to 1735. The Wigwam and Chapel Museum host a lot of artifacts of the town, such as the Concord Coach and the old jail door. Maps, photos, clothing, and furniture are also available for viewing. Tours are offered twice a month or by appointment, allowing you to spend time exploring the rich history. Amherst, New Hampshire is a residential suburban-rural town that dates back to the 1700s. With many historic buildings still standing and restored, a walk through the town square is like a walk through history. 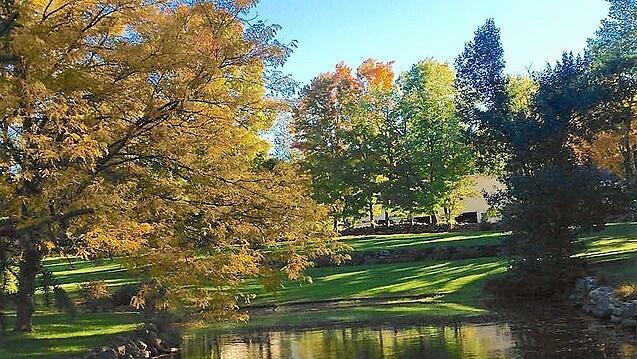 Its convenient location and charm have made Amherst into a quintessential NH town.